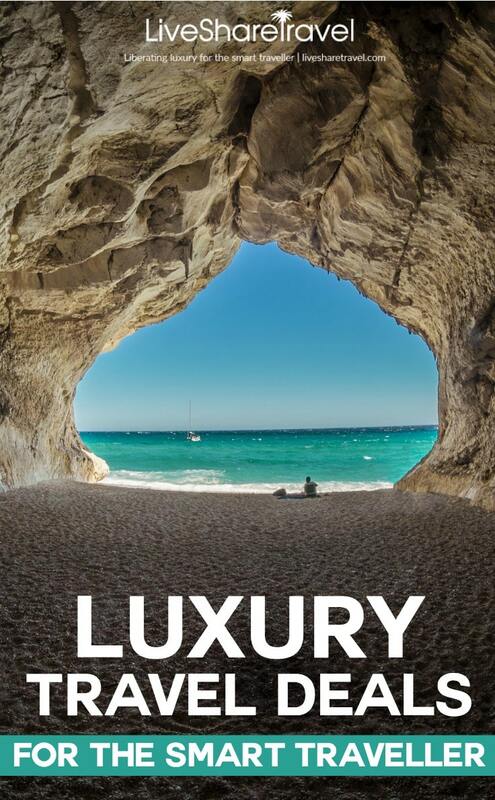 Discovering luxury travel deals for less is at the heart of what we do on LiveShareTravel. We believe we should all be able to liberate a little luxury on our travels. Here’s the latest luxury holiday discounts we’ve sourced for smart travellers like you, whether you want a five star all inclusive travel deal or simply some last minute luxury, you have a range of luxury holidays to choose from. – UPDATED FEBRUARY 27, 2019. Some links to the luxury holiday deals here are affiliate links and we receive a small commission if you click and purchase from them, at no extra cost to you. Thanks for your support! To have your deal featured here, please contact Terry Lee here. Holiday Pirates is perfect for searching for last minute travel deals with lots of European luxury hotel stays and even some international wonders. If you’re flexible on the time you travel, you can find some real bargains at under £300 per person. This luxury holiday travel deal is the perfect South African safari experience, with luxury safari tents to make you feel closer to the wilderness while still having those extra indulgent touches. Plus you can also enjoy game drives, photography tours, bush walks and a visit to a local Zulu village for a unique and memorable adventure. Sail into 2019 with a cruise to look forward to with Planet Cruise’s latest deals such as all-inclusive sailings for less than £1k or how about $1,000 onboard spend on a Royal Caribbean cruise? These luxury holiday deals will be hard to pass up. Route 66 is so iconic and monumental we kind of feel it needs no introduction. This self-drive option from Kuoni maps out your stop offs and hotels across 18-nights from Chicago to Los Angeles. You also have the option to tailor your own tour, either way you can kick back, relax and enjoy the open road laid out before you. Sugar Beach in St Lucia is a fabulous resort and hits the mark if you’re looking for a luxury package deal. With a range of offers to choose from including free nights and daily resort credits, it allows you to enjoy your break however you choose. And as part of the Viceroy hotel brand of luxury resorts, you know you’ll have your fair share of luxury experiences including a pool in your room, a variety of bars and restaurants on-site, and even a personalised butler service. If you want a great deal on your next luxury holiday, you’ll be impressed with these offers from Sovereign, whether you’re travelling as a couple, family, or want something last minute. With room upgrades and board upgrades, plus £100 off your booking, it seems luxury holidays just got even more affordable. The five-star Sala Samui Choengmon Beach is steps away from the beach and is our top pick for luxury resort deals, with rooms including private pools and al fresco bathrooms to soak up the atmosphere of the exotic outdoors. And champagne breakfasts, private BBQs and picnics help upgrade your experience to that next level. Offer includes a free dinner, spa treatment and 20% off the package. Whether you want a slice of the US action, or fancy an tropical beach break, these hassle-free packages from Virgin Holidays should have you covered, and at under £600 per person, they’re super affordable too. We’re loving this latest offer from Kuoni, with an all-inclusive junior suite at the adults-only Paradisus Playa Del Carmen La Perla for next summer. With great food, beaches and fantastic facilities, La Perla is a trendy and chilled resort perfect for couples or a friends getaway. Enjoy wine and tequila tastings, book a tango lesson or indulge in a spa treatment. Plus you receive $1,500 resort credit per room – now that’s a luxury holiday deal! Get away to Mauritius and stay 14 nights, but only pay for 7 with Mercury Holidays. Offer is available at selected half board and all inclusive resorts including Laguna Beach Hotel and Spa, Le Peninsula Bay Beach Resort and Spa and Jalsa Beach Hotel and Spa. Includes flights and transfers. Well known for its opulent offerings, Palladium Hotels are Mediterranean escapes are now even more affordable with 25% off and second child goes free if you plan to make it a family affair. Choose from Malaga, Ibiza or Sicily as the backdrop to your European break. We love London and with so many things to do in the city, Expedia’s hotel discounts make a luxury city break all the more possible. And with loads of stay options across the capital, it makes it even easier to find a hotel to fit into your travel plans. If you’re looking for a UK city break, book a Sunday Stopover at Malmaison from just £25, when you spend a minimum of £75 on food and drink in their onsite brasserie. Dates: Valid on Sunday stays until 30 April 2019. Get those holiday essentials all in order with up to 70% off airport parking with Holiday Extras. Don’t forget to search for voucher codes online before you book to bag yourself some serious savings. Save up to 60% off the price of a lounge pass, Holiday Extras sell lounge access to 22 UK airports. Enjoy complimentary drinks and snacks up to three hours before your flight and enjoy a little peace away from the crowded terminal. If you’re heading off to Europe, check out this offer from Avis with 7 days car hire for the price of 5, on all bookings made before 31 December 2018. Grabbed some great affordable luxury travel deals? Liberate a little luxury for other LiveShareTravel readers and share them below. Don’t we all, Emma! Glad to be of service!. I would love to go on a culinary cruise in Southern Burgundy! However, all the rest sound also fun! That’s one that piqued our interest too, Agness. Cruises can be such a food fest at the best of times, so one with all that good French food and wine will be more so! Huge fan of anything and everything Four Seasons. Thanks for sharing. We’re the same, glad to highlight a great deal there for you! These travel deals are literally awesome! I am glad that I found this page, this is going to help me save so much on my vacation this year! Thanks a lot for the effort that has been put in preparing this post!